A Quiet Place showed us a world where making a sound was the first step to death. 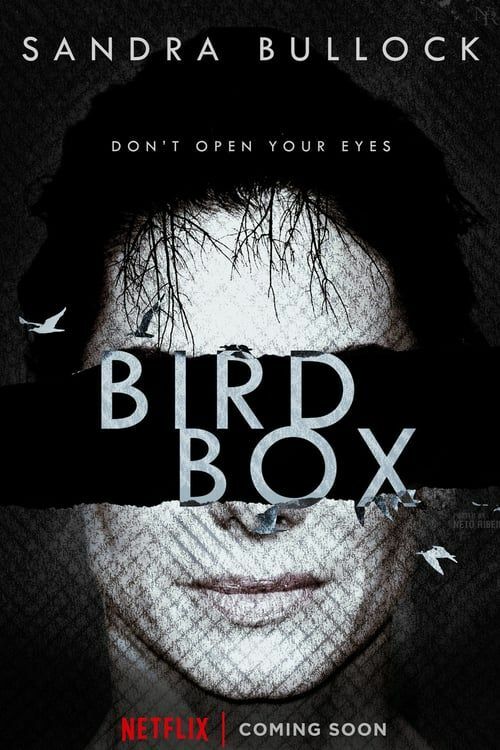 Bird Box takes that same idea but changed it to the sense of sight, presenting us with an entirely new set of conflicts to deal with. Sandra Bullock stars in this Netflix original film that tries to capture some of the tension and anxiety associated with A Quiet Place, and succeeds for the most part. A strange compulsion for mass suicide swept the world, caused by the humans seeing something that caused them to take their lives. Malorie (Bullock), pregnant and scared after her sister (Sarah Paulson) dies, finds herself barricaded in a house with a group of other survivors who have avoided seeing the strange force. Unfortunately, we know that this situation is temporary as that part of the story is unfolding, we see, at the same time, five years in the future as Malorie and two children named Boy (Julian Edwards) and Girl (Vivien Lyra Blair) make a desperate trek down a river, blindfolded and frightened. The dual stories play out together as we see how the one time frame eventually melds into the other. Like in A Quiet Place, we never really get any answers about what it is that has caused the world so much terror. Although, in A Quiet Place, they do drop some distinct hints in the background information. I feel like there is absolutely zero explanation in Bird Box. I really think this film needed something to tell us what this monster/force was. The unknown here subtracted from the story and, while I do not need a detailed explanation, something would have helped. The cast does a fine job in creating the terror of the situation, even if it is difficult to believe that they are able to avoid looking during this entire time. Sandra Bullock is great, as is Trevante Rhodes, who played Tom. John Malkovich was here as Douglas, aka jerk #1. Every apocalypse needs one. Lil Rel Howery is here too as the tension needed to be broken once and awhile. Then, I was almost certain that Andrew Lincoln was stepping out in a scene. He didn’t but you’ll know the place. Bird Box is a decent ride with some definite tension, but the fact that we know Malorie has the kids on the river really bodes poorly for the others in the house, cutting down the tension in that situation. And it is difficult to believe that she could maneuver through the woods blindfolded without killing herself. Still, it had its moments and was enjoyable enough.